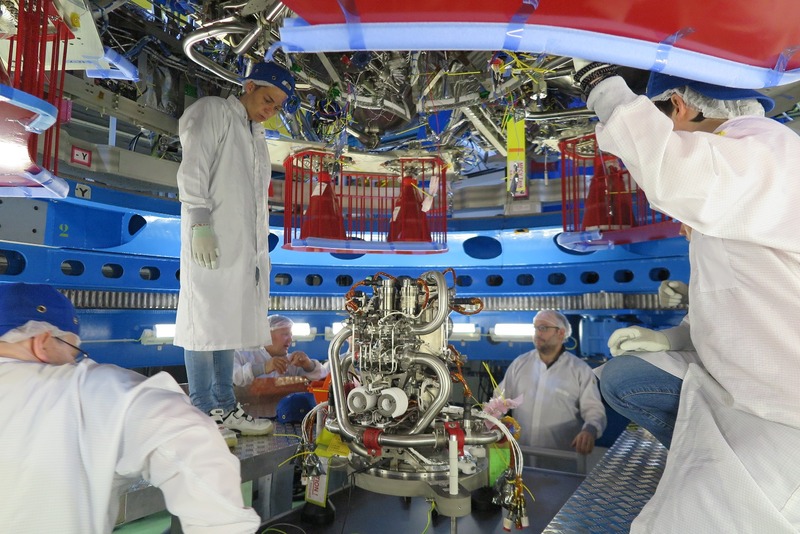 Airbus Defence and Space is in the home stretch of work to ship the first European Service Module (ESM) to its Florida launch site for integration with the rest of the hardware for NASA’s Orion spacecraft. When fully assembled and tested, Orion will be launched on the Exploration Mission-1 (EM-1) test flight to orbit the Moon and return. 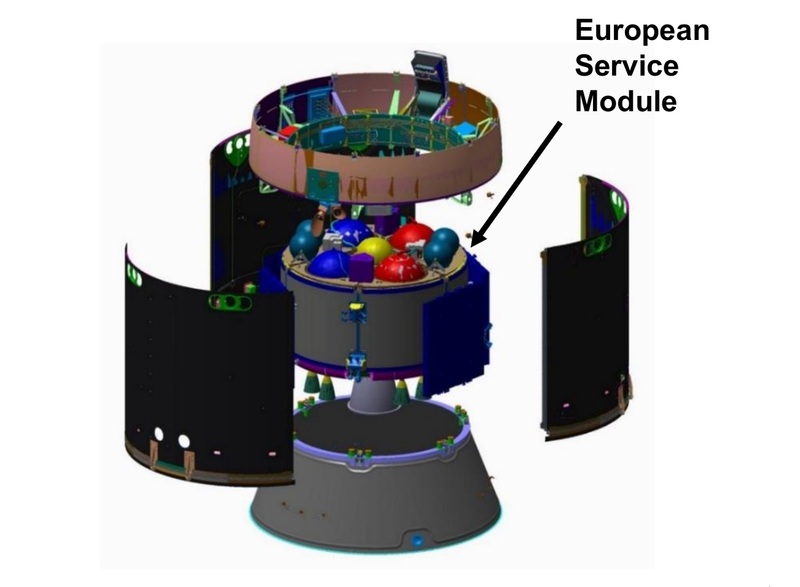 ESM-1 is now undergoing subsystem functional testing at its Assembly, Integration, and Testing (AIT) facility in Bremen, Germany, following completion of most hardware that can be installed on-site. Also known as Flight Model-1 (FM-1), the module will be flown to the Kennedy Space Center this summer to begin the sequence of steps to put together the full Orion spacecraft. As FM-1 nears completion, Flight Model-2 (FM-2) has joined its sister module in the clean room at Bremen to begin its AIT flow. 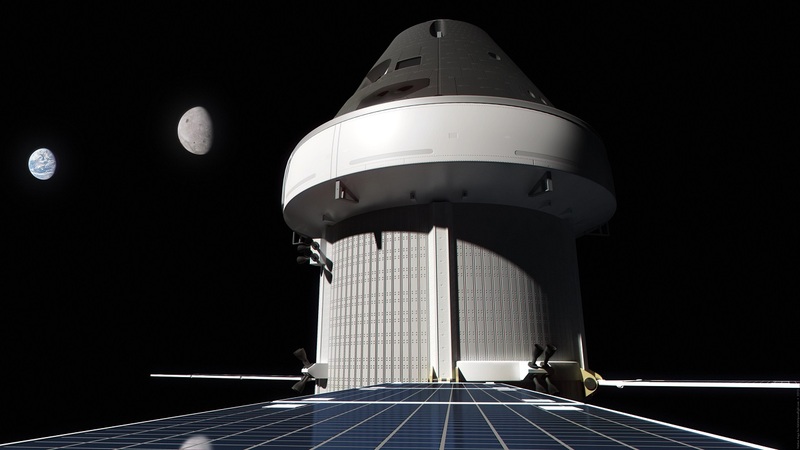 NASA and the European Space Agency (ESA) are also working with prime contractor Airbus on beginning construction of ESM hardware for subsequent modules this summer. The last stretch of work prior to the shipment of FM-1 is testing, following recent installations of its four large hypergolic propellant tanks and the Orbital Maneuvering System-E (OMS-E) main engine. “The main focus that we are working on is the functional testing of the propulsion subsystem and the consumable subsystem, meaning the water and oxygen for the astronauts,” Bas Theelen, Airbus Vice President of the Orion ESM Programme, said in an interview. The OMS-E main engine, minus its nozzle, was installed in the bottom of the module early in May. In addition, the Consumables Storage Subsystem (CSS) hardware, consisting of two groups of two gas tanks and two water tanks, was also recently installed in the top of the module. The OMS-E engine was refurbished by NASA after use during the Space Shuttle program and provided to ESA and Airbus for the ESM. “The very fact that we have everything integrated implies therefore that the majority of the work is behind us,” Theelen added. 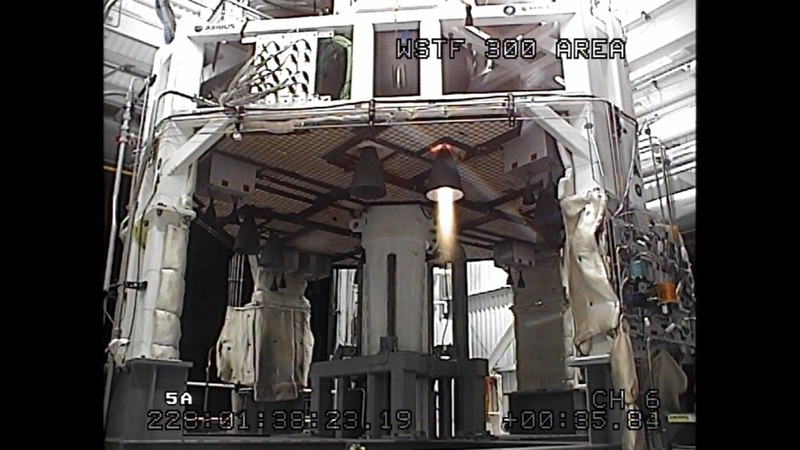 When shipped, the ESM will be missing its solar array wings and the nozzle of the OMS-E engine. The OMS-E nozzle is already in the United States and will be attached there. The solar generators will be shipped separately to the U.S.
As the team in Bremen nears completion of FM-1, Theelen noted he had just had an all-hands meeting with them and continues to be impressed with their dedication. “It’s very fascinating to see. I’ve been in different programs before navigation, telecom, a bit of Earth observation as well,” he noted. “Recently I did speak with NASA in terms of what their opinion was in terms of the technical performance, the way we work, and there it’s understood that we’re doing everything we can to deliver, the quality of what we deliver is good, and the motivation of the people is much appreciated,” he added. 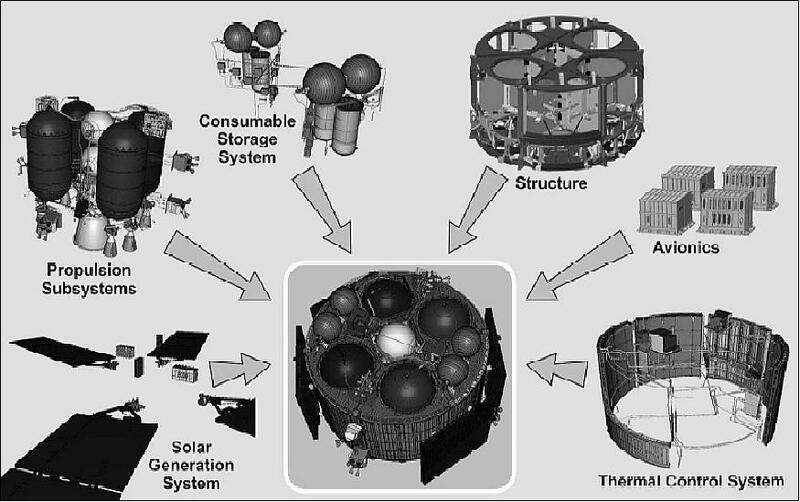 The ESM has multiple subsystems; in addition to the physical structure, there are subsystems covering propulsion, electrical power, thermal control, consumables, and avionics. The functional testing being done in Bremen now covers mainly the propulsion and consumables areas. Most of the other subsystems have more dependencies on equipment that Orion prime contractor Lockheed Martin is assembling in the crew module and crew module adapter that are being assembled in Florida. 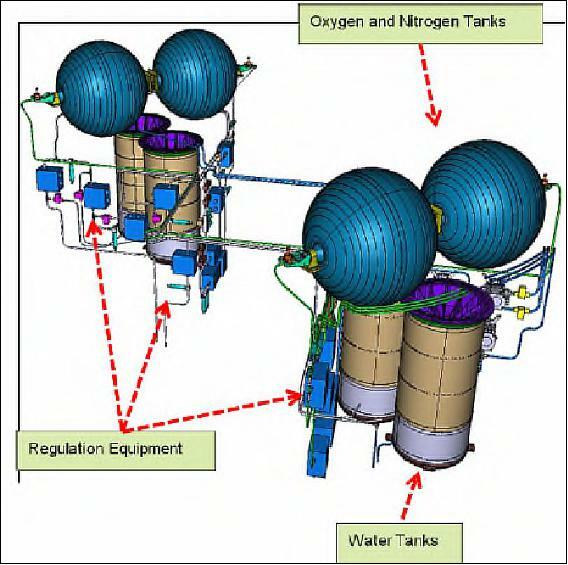 The CSS consists of four gas tanks that can be loaded with oxygen and nitrogen for crew cabin atmosphere and four water tanks. EM-1 is the first integrated flight for the Orion spacecraft, but it is an uncrewed test. To save some schedule time, Theelen noted that the ESM for this mission would only have one gas tank loaded with nitrogen and one loaded water tank. The others will be mass simulators. Airbus will have a support staff on-site in Florida and others remotely available. “There’s about twenty [people on-site], but it depends on which phase of the testing we’re in,” he said. At KSC, the ESM will first be attached to the crew module adapter and checked out before the crew module is brought in to be integrated. While work in Bremen on the first ESM is nearing completion, the structure for the second unit has moved into the same clean room. 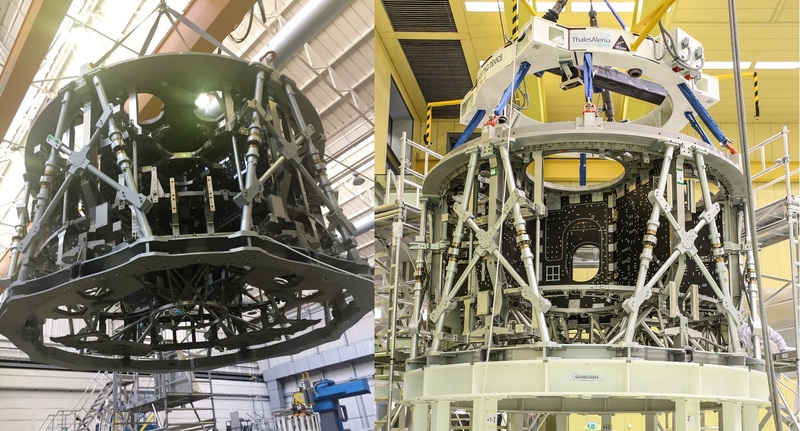 Built by Thales Alenia Espace in Turin, Italy, the structure was transported to Bremen in late April, and is now beginning its AIT flow for eventual service on Exploration Mission-2 (EM-2), the first crewed Orion flight. Theelen noted, though, that the design drives the sequence of events in the flow. “The particular thing about the entire ESM is — and I come back to that — the design is such that it is extremely compact,” he explained. “The good thing about it is that since we have done ESM-1, we have done quite a few workarounds in that case. So we know today that in case something comes late for whatever reason, we have the workaround ready now, because we have experienced it on ESM-1,” he added. While the AIT work progresses on the flight units, Orion development work continues with structural and functional models. 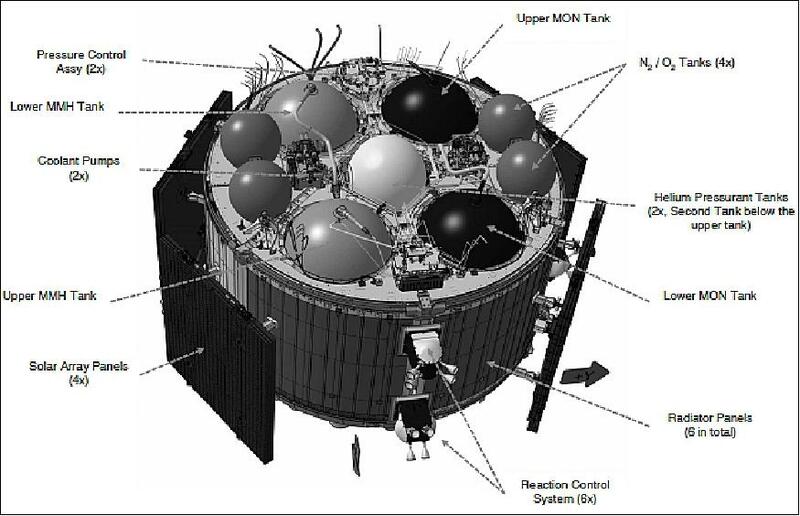 Testing of the Propulsion Qualification Module (PQM) began last year at White Sands, but an anomaly occurred that suspended testing. 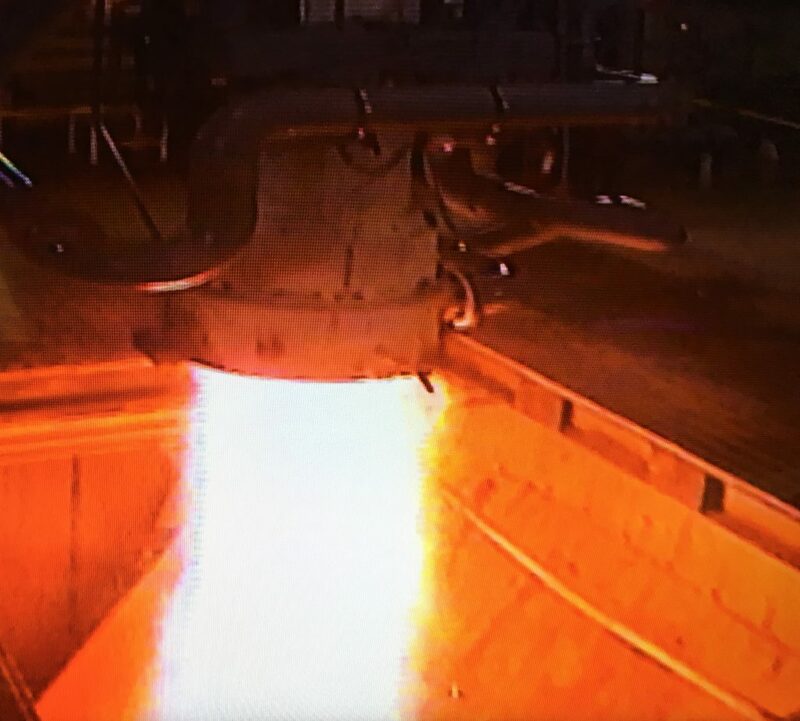 “During testing of the PQM at White Sands, one of the system’s Reaction Control System thrusters experienced a failure during blow down testing last August,” NASA said in a statement provided by Rachel Kraft with Johnson Space Center Public Affairs. NASA, ESA, and Airbus also continue to lay the groundwork for construction of future ESM flight models.